The walkway to your front door says a great deal about the kind of home you are living in. The path brings trick-or-treaters to your door and welcomes guests on holidays. It is a statement piece that navigates the front of your home to tell others a little bit of your story as they arrive to your threshold. And it’s used everyday. The walkway has to withstand the wear and tear of bicycle races, dashes to the car in rainy weather, and walk after walk with the family dog. For this reason, it is important to make sure you are happy with the way your walkway is constructed and how it matches both your home and the surrounding environment. 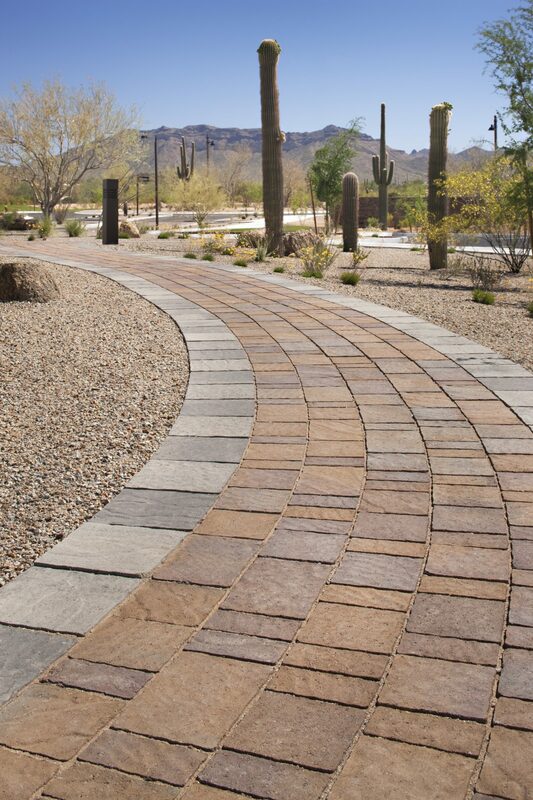 Why use stone pavers for walkways? Pavers are customizable in a way that few other materials can boast. This makes them ideal for anyone who appreciates the ability to custom design their outdoor space. They can be easily found in many colors, patterns and textures so as to connect seamlessly to the front of your home or landscape treatment. 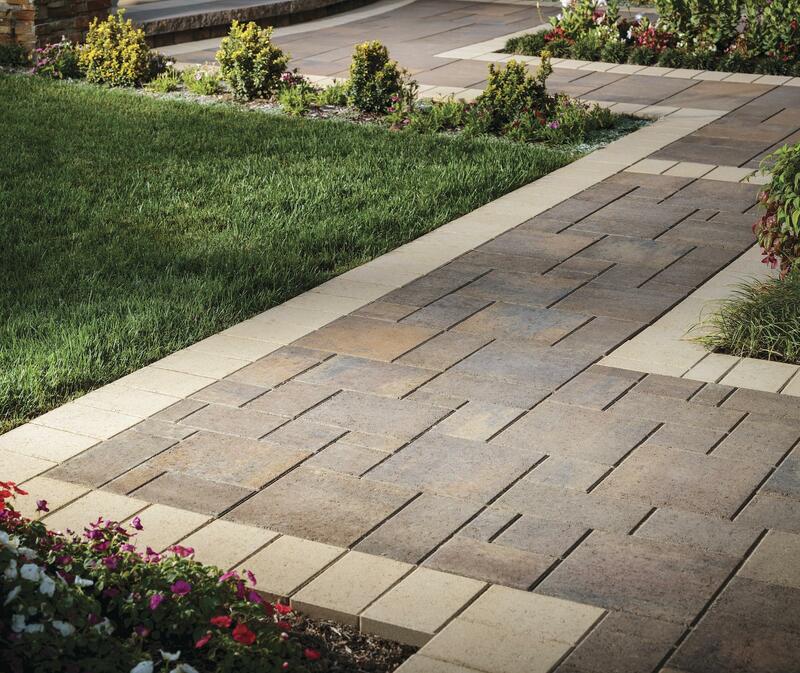 Pavers are naturally stain resistant (and can be made more so by sealing during installation). 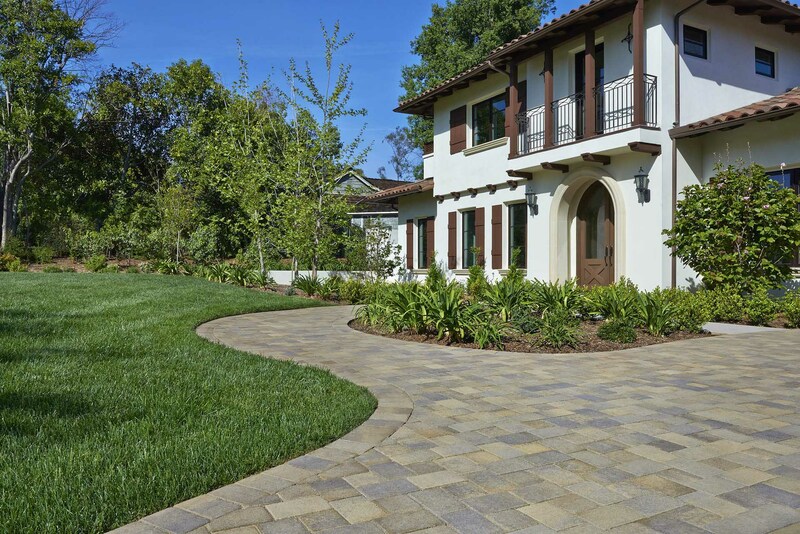 Most pavers only need a quick sweep and possibly a spray with soap and water to look like new. Also, unlike working with a slab of concrete, the ability to spot replace pavers means that if any issues like cracks appear, they can be easily resolved with a small switch of one paver for another. The many joints in pavers mean that they can more naturally adjust to ground conditions during the constant expansion and contraction over seasons without cracking. Also, because of this, water runoff is handled more effectively by the pavers and that means your ground water is naturally replenished. A common misconception is that pavers are disproportionately slippery when wet. In fact, they are naturally slip resistant and most far exceed ADA requirements. There are available styles that maximize this quality of pavers, so ask a contractor if you are concerned about this. Should I go with brick instead? While brick is a popular choice for walkways, it can chip and crack when faced with inclement weather. In addition, because it is made from clay, style options are more limited. Additionally, the kiln fired material is naturally not uniform so installation is more difficult and the overall aesthetic is less tidy. Weeds can also be more of a problem with brick. 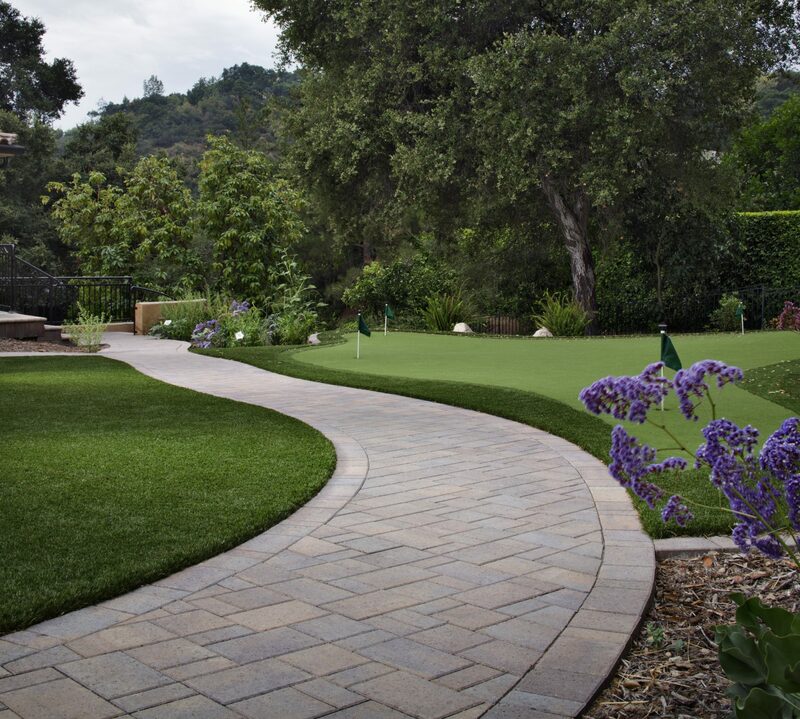 Pavers can be joined with a special polymer sand that resists weed growth in joints and makes maintenance simpler. Ultimately, stone pavers are oriented to the design-conscious homeowner who also wants a low impact clean surface for their walkway. While more expensive than slab concrete, pavers make a good middle option that won’t cost as much as brick and will see less wear over time. 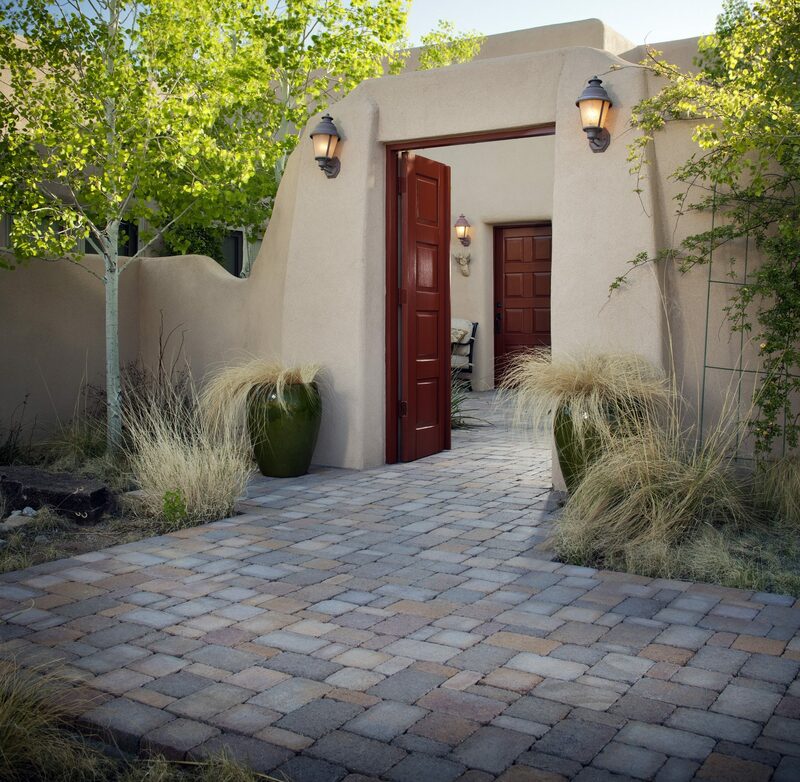 The path to your home says a great deal about you, let it tell your guests that you’re excited to see them. 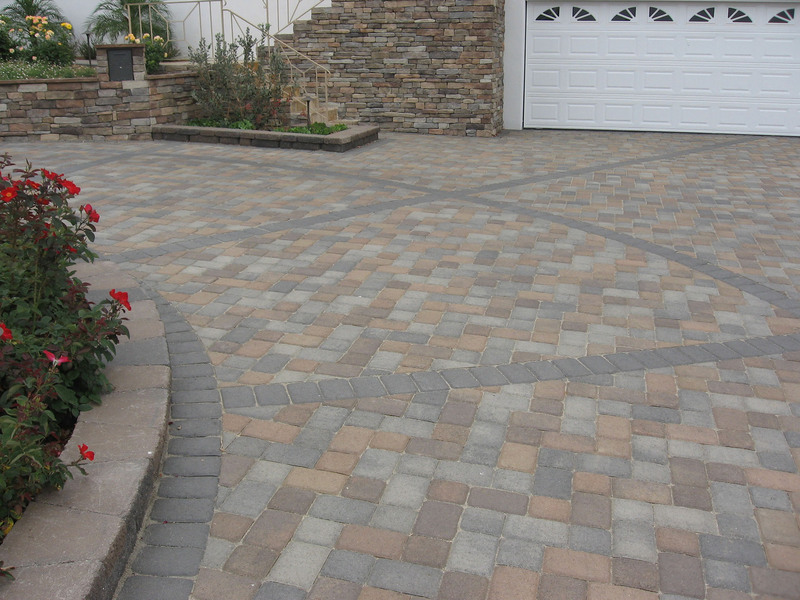 We are able to install stone pavers in both San Diego and Orange County. 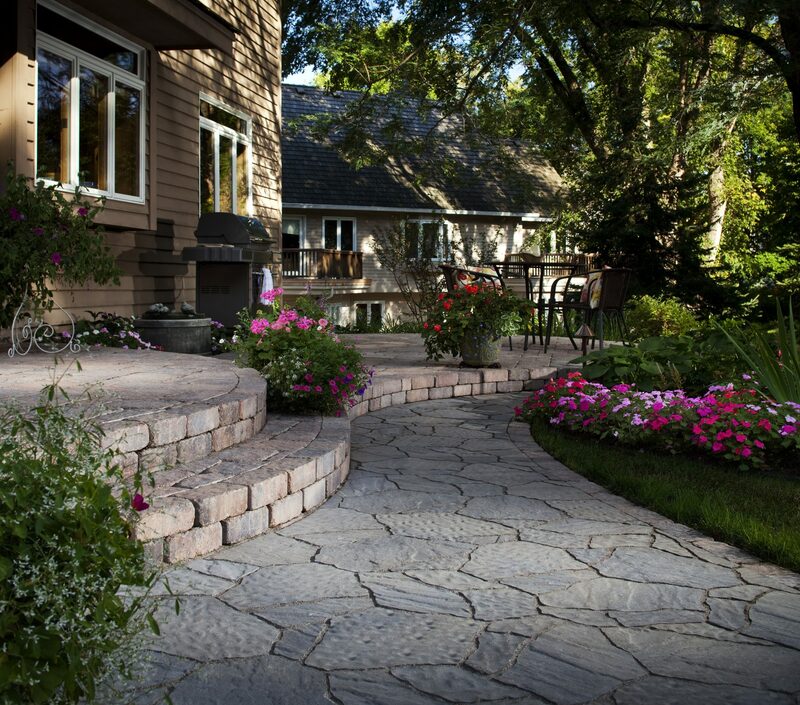 If you are interested in a stone paver walkway for your home, reach out to us for a free estimate today!